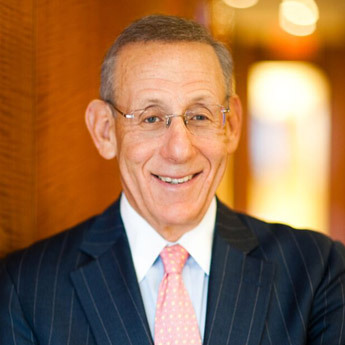 Stephen M. Ross is the Chairman and Founder of Related Companies. Mr. Ross formed Related in 1972 and today the company includes over 2,500 professionals. Related is one of the largest owners of affordable housing, has developed over $22 billion in real estate, and owns real estate assets valued at over $20 billion made up of best-in-class mixed-use, residential, retail and office properties in premier high-barrier-to-entry markets. Mr. Ross is also the owner of the Miami Dolphins. Mr. Ross is Chairman of the Board of Directors of Equinox Holdings, Inc., serves on the Executive Committee and is a trustee of Lincoln Center, and is a trustee of New York-Presbyterian Hospital and the Guggenheim Foundation. He is a director on the board of the Culture Shed and the Jackie Robinson Foundation and is chairperson emeritus of the Real Estate Board of New York (REBNY), the city’s leading real estate trade association. Mr. Ross is also a director on the board of World Resources Institute (WRI) and recently established WRI Ross Center for Sustainable Cities, an innovative new initiative to integrate urban planning, sustainable transport, energy and climate change, water resources, and governance. Over the years, Mr. Ross has received numerous honors for his business, civic, and philanthropic activities. Most recently, he was a New York Power Player by the New York Times, the Most Powerful Person in New York Real Estate by the New York Observer, Multi-Family Property Executive of the Year by Commercial Property News, and Housing Person of the Year by the National Housing Conference. He also received The National Building Museum Honor Award, REBNY’s Harry B. Helmsley Distinguished New Yorker Award and the Jack D. Weiler Award from UJA. Crain’s New York named Mr. Ross one of the 100 Most Influential Leaders in Business and he was recognized by NYC & Company with their Leadership in Tourism Award. In 2013, Mr. Ross pledged to give more than half of his estate to philanthropic causes and charitable organizations through the Giving Pledge, a long-term global initiative created by Warren Buffett and Bill and Melinda Gates that aims to inspire deeper engagement in philanthropy and increase charitable giving globally. Mr. Ross graduated from the University of Michigan with a Bachelor of Business Administration degree, from Wayne State University Law School with a Juris Doctor degree and from New York University School of Law with a Master of Laws in Taxation. In 2004, the University of Michigan renamed its business school the Stephen M. Ross School of Business at the University of Michigan and in 2011 the University of Michigan awarded Mr. Ross an honorary degree, Doctor of Laws. Rit Aggarwala works on cities, transportation, and the environment, from the perspectives of former public official, policy expert, and historian. Aggarwala works at Sidewalk Labs. 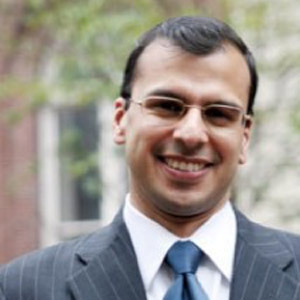 Aggarwala is Adjunct Professor at Columbia School of International and Public Affairs. Aggarwala’s achievements at City Hall included the passage into law of a landmark set of mandates that will make all large buildings in New York City more energy efficient, by requiring benchmarking, periodic energy audits and operations tune-ups, widespread lighting retrofits, and submetering for commercial tenants. He also led the effort to make New York City’s 13,000 yellow taxis convert to hybrids, clean up the heating oil used in New York City’s buildings, and develop a greener construction code for New York. He was also one of the architects of Mayor Bloomberg’s effort to bring congestion pricing to Manhattan, and served as the mayor’s point person on Building America’s Future, a coalition the mayor created with Governor Arnold Schwarzenegger of California and Governor Ed Rendell of Pennsylvania. He has testified before the New York City Council, the New York State Assembly, and the United States Congress. Prior to joining the Bloomberg Administration, Aggarwala was a consultant at McKinsey & Company, where he mainly served clients in the transportation and logistics industry in the United States and Europe. In addition to work at the New York State Assembly and the Virginia Railway Express, he began his career at the Federal Railroad Administration. 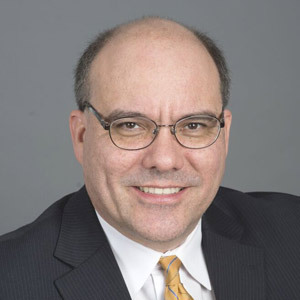 He serves on several boards, including that of the Regional Plan Association; the Urban Green Council; the advisory boards of the Eno Transportation Foundation and New World Capital (a private equity firm); and is a trustee of St. Stephen’s School in Rome, Italy. Aggarwala holds a PhD in American History from Columbia University, where he studied under Professor Kenneth T. Jackson. His dissertation, “Seat of Empire: New York, Philadelphia, and the Emergence of an American Metropolis, 1776-1837”, looked at the causes that led New York to surpass Philadelphia as the leading city in America. He is currently revising that manuscript for publication as a book. She is on the Boards of Veniam, World Resources Institute, and Tucows. She also served on the board of the Massachusetts Department of Transportation, the National Advisory Council for Innovation & Entrepreneurship for the US Department of Commerce, the Intelligent Transportations Systems Program Advisory Committee for the US Department of Transportation, the OECD’s International Transport Forum Advisory Board, the Massachusetts Governor’s Transportation Transition Working Group, and Boston Mayor’s Wireless Task Force. Mr. Godrej is the former Chairman of Ananta Aspen Centre (previously known as Aspen Institute India), Chairman & Trustee of Ananta Centre. He is the President of World Wide Fund for Nature – India. He is the Chairperson of the Board of Directors of Shakti Sustainable Energy Foundation, India Resources Trust and Council on Energy, Environment and Water. 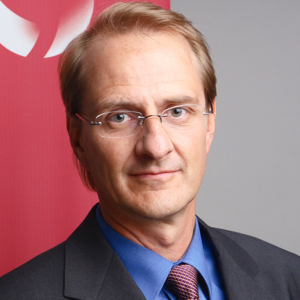 He is a Director of World Resources Institute, USA and Director of Global Footprint Network, USA. He is also a Trustee of the Asia Society, USA. He is a member of Toyota Motor’s Global Advisory Board and Asia Pacific Regional Advisory Committee. He is the Past President of Confederation of Indian Industry and also the Past President of the Indian Machine Tool Manufacturers’ Association. Mr. Godrej is the Chairman of the CII Sohrabji Godrej Green Business Centre. The Centre is housed in a LEED Platinum demonstration building which is the first green building in India and the greenest building in the world at the time when it was rated. The Green Business Centre is a Centre of Excellence for green buildings, energy efficiency, energy conservation, non-conventional energy sources, water policy, water conservation, etc. Godrej and Boyce Mfg. Co. Ltd. manufactures and markets refrigerators; washing machines; air conditioners; office furniture; home furniture; security equipment for banks (such as safes, strong room doors, bank lockers, etc.) and for commercial establishments and homes; locks and latches, forklift trucks and warehousing equipment; process equipment for chemical, petrochemical, refineries and allied industries; precision tools for sheet metal, zinc, aluminium; real estate development. The Godrej group are leaders in home appliances, consumer durables, office equipment, industrial products, consumer products and services. Mr. Godrej is an ardent yachting enthusiast and has done extensive cruising along the west coast of India, the Baltic & North Sea, the Atlantic Ocean and in the Mediterranean Sea. The President of India conferred on Mr. Godrej the “Padma Bhushan” on 3rd April 2003. He graduated in Mechanical Engineering from Illinois Institute of Technology, USA. Ede Jorge Ijjász Vásquez is the Senior Director for the new Social, Urban, Rural and Resilience Global Practice at the World Bank Group. This Global Practice groups 600 professionals across the world working in a broad range of development issues, from social development and inclusion to disaster risk management, in cities, human settlements, and territories. He assumed this position on July 1, 2014, under a stronger institutional structure focused on ending extreme poverty by 2030 and boosting shared prosperity for the bottom 40 percent at the World Bank Group. Before this, he was Director for Sustainable Development of the Latin America and Caribbean Region since November 2011, covering infrastructure, climate change, environment, social and rural development. From 2007 to 2011, he was based in Beijing, where he managed the Sustainable Development Unit for China and Mongolia. Earlier in his career, he led implementation of the Bank’s environment strategy team, as well as water and sanitation projects in Central Asia, the Caucuses and the Russian Federation. Mr. Ijjasz has a Ph.D. and a M.Sc. from the Massachusetts Institute of Technology (MIT) in civil and environmental engineering, with specialization in hydrology and water resources. He is a Colombian and Hungarian national. 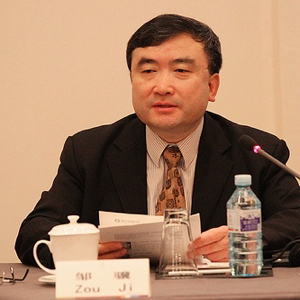 Zou Ji is President of the Energy Foundation China. Prior to this role, he was the Deputy Director General, National Center for Climate Change Strategy and International Cooperation (NCSC), a new think tank on climate research under the National Development and Reform Commission (NDRC). He also served as WRI China Country Director for more than two years. During his time at WRI, Zou established an MoU between WRI and NDRC, expanded the staff in China, and secured a major grant from the Asian Development Bank (ADB) on the Qingdao Low-Carbon Development Plan. Zou holds a Bachelor’s of Science in Environmental Engineering, a Master’s in Engineering Economics, Tsinghua University and a PhD in Environmental Economics, Renmin University, China. Chief Operating Officer, Copenhagenize Design Co.
Morten Kabell is Chief Operating Officer for Copenhagenize Design Co. and is the former Mayor of Technical and Environmental Affairs of Copenhagen. 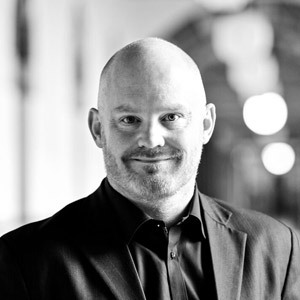 Following 16 years as a member of the City Council of Copenhagen, in 2013, Morten was to be mayor. He then left politics and joined Copenhagenize at the beginning of 2018. He has previously been appointed to board member of Greater Copenhagen Utilities, the CPH City & Port Development and other public enterprises, focusing on green mobility, urban spaces and climate adaptation. Morten speaks on urban mobility around the world. He lives in central Copenhagen, bikes to work and is a keen science-fiction reader. Morten works closely with and has been a champion of WRI’s Building Efficiency Initiative. Marcio Lacerda is a businessman, married, with three children. He spent his childhood and his adolescence in Inhapim, Minas Gerais state and, when he was 17 years old, he moved to Belo Horizonte, where he studied at the Federal Technical School. Marcio Lacerda got his first job in 1965 at the Telephone Company of Minas Gerais. He was a political activist during the military dictatorship.In 1975, he began a successful career as an entrepreneur, creating two telecommunications companies, with operations in 16 Brazilian states, plus Chile and Bolivia. In 2003, he became an executive secretary of the Ministry of National Integration. From there, Marcio Lacerda's politcal career took off. April of 2007 to May, 2008, he was a Secretary of State for Economic Development of Minas Gerais. In 2008 he was elected as a Mayor of Belo Horizonte, and in 2012, he was re-elected in the first round to be the Mayor of the city. He was considered the best mayor of Brazil by Ibope and Datafolha institutes and indicated by the Foundation City Mayor as one of the best mayors in the world. In 2014, the survey ‘Best City’ Index pointed Belo Horizonte as the best capital, through survey that examined 77 indicators. In April, he was elected president of the National Front of Mayors for the biennium 2015/2016. In 2015 he was elected President of the National Front of Mayors. Charlotte Matthews is Sidewalk Labs' Director of Sustainability. Charlotte has 20 years of experience in the development, design, construction, and operation of green buildings and distributed generation-energy infrastructure. Charlotte was the Vice President of Sustainability for Related Companies, a real estate owner and developer with over $10B of residential, retail, office and affordable housing property. In 2008, the company committed to building green exclusively, and has since completed 20 LEED Silver, Gold and Platinum properties and has over 30 LEED projects underway, including several neighborhoods. Charlotte’s major project was the Hudson Yards microgrid. 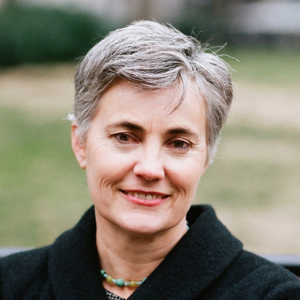 Charlotte was also Vice-Chair of the Real Estate Roundtable – Sustainability Policy Advisory Committee, a board member of IMT, a member of the New York Reforming the Energy Vision (REV) Market Design Working Group, and a member of the Real Estate Board of New York – Sustainability Committee. Recent engagements include teaching at Columbia University, in the GSAPP Masters in Real Estate Development program (2010-2014), co-chairing the Residential track of the NYC Building Resiliency Task, co-chairing the Construction Practices committee of the NYC Green Codes Task Force, and sitting on the US Department of Energy, Energy Efficiency Buildings Hub – Industry Advisory Committee. Previously, Charlotte co-chaired the Boston AIA Committee on the Environment, contributed to the development of DOE/EPA Lab21 EPC and LEED for Labs, and helped with the consolidation of LEED from multiple specialized rating systems into one for New Construction. Charlotte’s career in green building began in an architecture firm and then moved through consulting and construction management into real estate development. She holds a Bachelor of Science in Environmental Science from Brown University. Prof. Dr. Dirk Messner has been working on globalization and global governance as well as on the transformation of nation states and governance under conditions of global change since the late 1980s. He has addressed the impact of China’s and India’s rise on processes of international politics and development policy, furthermore he has focused on the effects of climate change on global governance dynamics and socioeconomic development processes in Latin America and Asia. Since 2003, he has been Director of the German Development Institute (DIE) and he has taught at the Institute of Political Science at the University of Duisburg-Essen. 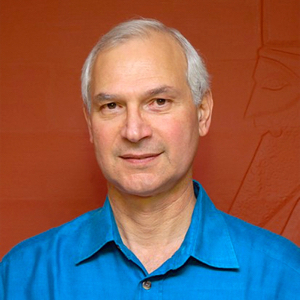 Previously he was Academic Director of the Institute for Development and Peace (INEF) at the University of Duisburg. Dirk Messner completed numerous research stays in Asia and Latin America in the past 20 years (e.g. Chinese Academy of Social Sciences, Beijing University, Research Centre for the Developing World (RIS) in New Delhi, Sogang University, Seoul; CEPAL in Santiago de Chile, Buenos Aires, Montevideo, Universidad Autónoma in Mexico City, Universidad del Pacífico in Lima, Fundação Getulio Vargas in Rio de Janeiro), directed many international research programmes and thus created a close international research network. He is Co-Chair of the “European Think Tank Group on International Development” established in 2009, where five leading European research institutes from Germany, the Netherlands, France, Great Britain and Spain coordinate their research programmes and prepare joint research and consultancy initiatives. Dirk Messner is Vice Chair of the German Advisory Council on Global Change (Wissenschaftlicher Beirat der Bundesregierung Globale Umweltveränderungen (WBGU)), member of the China Council for International Cooperation on Environment and Development, which gives advice to the Chinese government on questions of economic and environmental policy. Furthermore, he is member in academic advisory councils of various academic organizations (e.g. Potsdam Insitute for Climate Impact Research, German Foundation for Peace Research (Deutsche Stiftung Friedensforschung), International Council for Sciences /Global Sustainability Research). 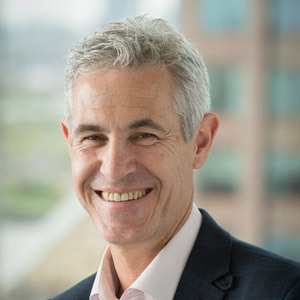 Clay Nesler is the Vice President for Global Sustainability and Industry Initiatives at Johnson Controls, where he chairs the company’s global sustainability council. 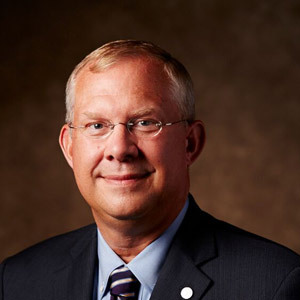 Since joining Johnson Controls in 1983, Clay has held a variety of leadership positions in research, product development, marketing, strategy and sustainability in both the United States and Europe. Nesler serves on the board of American Council for an Energy Efficient Economy, the executive group of the US DOE/EPA SEE Action network, and the GSA green building advisory committee. He chairs the Alliance to Save Energy international steering committee and US-China Clean Energy Research Center building energy efficiency industry advisory board. He helped establish the UN Sustainable Energy for All Building Efficiency Accelerator and serves as a senior advisor to the Building Efficiency Initiative at WRI Ross Center. Nesler received BS and MS degrees in Mechanical Engineering from the University of Illinois at Urbana-Champaign. Eduardo Paes is the former Mayor of Rio de Janeiro, Brazil. He has dedicated his entire career to public service, starting in 1993 when he was appointed deputy mayor of the Jacarépaguá and Barra districts in Rio at the age of 23. In 1996, he was elected Alderman and went on to be elected to the Federal Chamber of Deputies in 1998. In 2000, he was appointed Rio´s Municipal Environmental Secretary where he refined his knowledge of environmental issues. During his second mandate as a representative in Congress, in 2007, Paes was named Secretary of State for Tourism, Sport and Leisure and helped in the organization of the Pan American Games that were held in Rio. A year later, Mayor Paes was elected Mayor of Rio de Janeiro and on, October 7th 2012, he was re-elected in the first round for a second term. 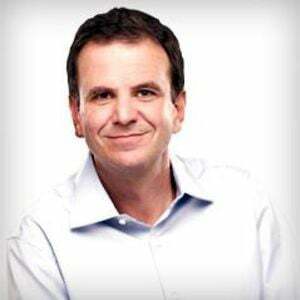 Born in Rio de Janeiro on November 14, 1969, Mayor Eduardo Paes is a Law School graduate from PUC-Rio University. Sam Parker has been Director of Shell Foundation since February 2015. An alum from Oxford University, Sam worked for six years in the agrochemical industry focusing on Latin America. After volunteer work helping street children in São Paulo, Sam spent 11 years with UK commodity trading company, ED&F Man Holdings, becoming Managing Director of Asian business in 2001. In 2002, Sam returned to the development sector as Organisational Development Manager at International Save the Children Alliance. In 2006, Sam became Water & Sanitation for the Urban Poor’s (WSUP) first CEO. A non-profit, private sector-NGO hybrid, WSUP empowers local providers of water and sanitation services to reach low-income urban consumers on a commercially viable basis. Sam was instrumental to leveraging private sector know-how to provide sustainable benefits to the underserved. In his tenure with Shell Foundation, Sam works closely with WRI Ross Center’s teams in Africa, Mexico and China regarding road safety, transportation, air quality and finance. He facilitated WRI Mexico and IDB’s collaboration to jointly establish the Innovation for Mobility project in Mexico. Sam’s team partnered with WRI Ross Center to co-organize workshops in Nairobi and New York to connect mobility-focused investors and entrepreneurs. 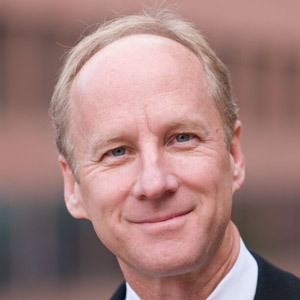 Patrick L. Phillips is the former Global Chief Executive Officer of the Urban Land Institute (ULI). In this position from 2009 to 2017, Patrick oversaw an expansion of ULI’s global reach, particularly throughout Asia, guiding the Institute’s focus on creating thriving communities in rapidly urbanizing countries. Under his leadership, ULI’s program of work grew steadily to encompass a variety of economic, demographic, societal and environmental issues that are reshaping urban development worldwide in the 21st century. Prior to his service at ULI, he was President and Chief Executive Officer of ERA AECOM (formerly Economics Research Associates), where he coordinated all aspects of ERA’s organization, strategy, business development and service delivery. Shirley Rodrigues was appointed as Deputy Mayor for Environment and Energy in October 2016. Along with Transport for London (TfL), Rodrigues works towards achieving the Mayor’s plans for tackling air pollution. This effort includes creating Low Emission Bus Zones and new charges for old and polluting vehicles. Supervising activities to generate low-carbon electricity and increase recycling rates, she's working towards the target of London becoming a zero-carbon city by 2050. Rodrigues was previsouly the lead for the climate-smart urbanization strategy of The Children’s Investment Fund Foundation (CIFF). She was responsible for sourcing and managing investments to transform the way cities are developed to avoid the lock in of carbon-intensive and resource-inefficient lifestyles. 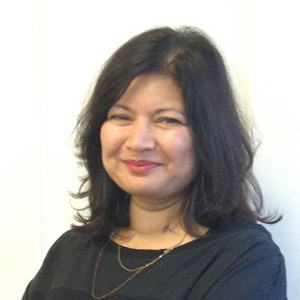 Before joining CIFF, Shirley was the Director of Policy at the Sustainable Development Commission providing policy advice and research on economic, social and environmental issues to the UK Government and Devolved Administrations. Previously, as Head of Environment and Climate Change and as interim Executive Director for Development and Environment at the Greater London Authority, she provided policy advice to develop and implement landmark strategies for Mayor Ken Livingstone and Mayor Boris Johnson. These included climate change mitigation and adaptation, waste management and air quality as well as the Climate Change Action Plan and the environmental chapters of the London Plan. Key projects she helped implement include the London Low Emission Zone, Congestion Charge and programs to retrofit London’s residential and commercial buildings. Before that Shirley held a number of roles in London local government where she supported local authorities develop new policies and infrastructure for London and raise standards and promote innovation in transport, urban planning and consumer protection. Shirley sits on the Board of The C40 Cities Climate Leadership Group and on the Energy Foundation China Committee. 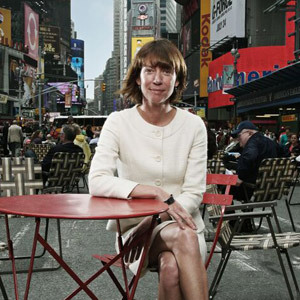 Janette Sadik-Khan served as Commissioner of the New York City Department of Transportation (NYC DOT) from 2007-2013, where she implemented an ambitious program to improve safety, mobility and sustainability, and ensure a state of good repair on the city’s roads, bridges and ferries. At Bloomberg Associates, she works with mayors around the world to reimagine and redesign their cities with innovative projects that can be developed quickly and inexpensively. At NYC DOT, Janette oversaw a $2.8 billion budget, delivering transformative projects including the pedestrianization of Times Square and redesigning 2.3 miles of Broadway from Columbus Circle to Union Square; the planning and launch of seven Select Bus Service routes; and the nation’s largest bike share program. She added nearly 400 miles of bicycle lanes and installed 60 plazas across the city. She also developed and published New York City’s first-ever Street Design Manual and Street Works Manual, defining new standards for creating more resilient and attractive streets. Before joining the Bloomberg Administration, she was a Senior Vice President at Parsons Brinckerhoff, an international engineering firm. Prior to that, she served as Deputy Administrator of the Federal Transit Administration. Sadik-Khan is the chair of the National Association of Transportation Officials (NACTO), an organization of transportation commissioners in over 40 US cities, and is a member of the board of directors of both the Institute for Transportation and Development Policy (ITDP) and the Regional Plan Association (RPA). She also sits on the Board of Trustees of Occidental College, from which she holds a B.A. in Political Science, in addition to a J.D. from Columbia University School of Law. 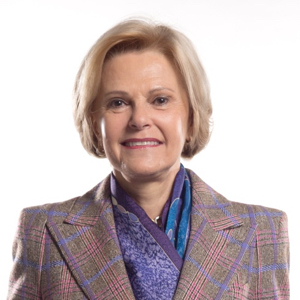 Parks is the current President of the world body, United Cities and Local Governments (UCLG), as well as the President of the South African Local Government Association (SALGA). 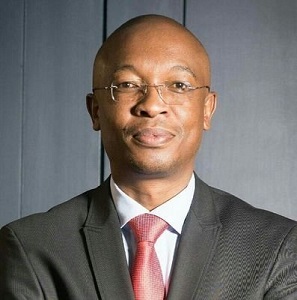 He is the former Executive Mayor of the City of Johannesburg 2011-2016, where he drove a spatial and socio-economic transformation agenda to create sustainable opportunities for communities in the metropolitan municipality. 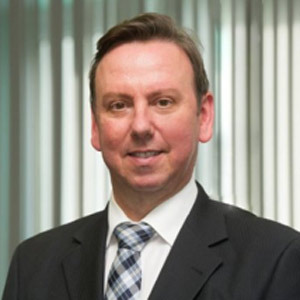 As a seasoned local government practitioner, Parks has headed various local government portfolios that include development planning, transport, environment, economic development and finance. He has also led as the co-Chairperson of the United Nations High Level Independent Panel, which was established and concluded in 2017, to improve the effectiveness of the UN-Habitat. Parks is a University of London alumni with a Master’s in Public Policy and Management, and he holds a Post Graduate Diploma in Public Management from Regenesys. He is an active board member of WRI Ross Center. 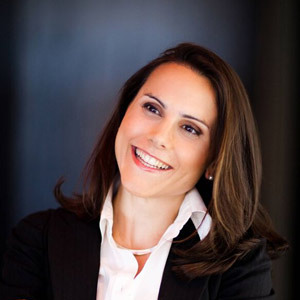 Sara Topelso is President of the Urban Land Institute (ULI) Mexico. She is an Honorary Member of the American Institute of Architects (AIA) and Honorary Member of the Royal Institute of British Architects (RIBA). She begun her career as an architect in the Grinberg & Topelson Architects firm. During her career at Grinberg & Topelson, she developed projects in the fields of housing, industry, education, culture and low-income housing. Most recently, she was Undersecretary for Urban and Regional Development for the Federal Government in Mexico. Previously, she was General Director of Urban Development for the Miguel Hidalgo District in Mexico City from October 2006 to January 2007. In 2003 she founded DOCOMOMO Mexico, with a group of historians and researchers and is currently President of the chapter. She was General Director of Urban Development the municipality of Huixquiluca, State of Mexico from 2003 to 2004. From 2001 to 2003, she was Director of Architecture of the National Institute of Fine Arts of Mexico; promoting conservation of 20th Century architecture through register, publications and exhibitions at the National Museum of Architecture. Ms. Topelson received her architectural degree from the National University of Mexico (UNAM). She is a Honorary Fellow of the American Institute of Architects, the Royal Architectural Institute of Canada, the Japan Institute of Architects, the Royal Institute of Australian Architects and the Associations of Architects of Nicaragua and Venezuela, a honorary member of the Royal Institute of British Architects and of the Spanish Council of Architects. Sara is an Academic Fellow at the Academia Nacional de Arqutiectura, and at the Academia Mexicana de Arquitectura. Gino has been working for ICLEI for more than 15 years. 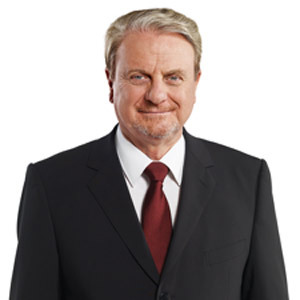 In his roles as Regional Director for Europe (since 2002), Deputy Secretary General (since 2007) and Secretary General (since 2013), he has consistently worked towards ensuring ICLEI’s quality as a not-for-profit, responsible and forward-looking local government organization serving its 1,000 members at worldwide. He says: "Our goal is to lead in urban sustainability thinking. We generate novel proposals, search for innovative solutions, prepare new approaches, and are the first to act as new issues emerge. We help our Members to confront the realities of increased urbanization, adapt to changes in economic and demographic trends, prepare for the impacts of climate change and other urban challenges, and create livable cities. We guide our Members towards strategic policy development, sustainable planning frameworks, and comprehensive, integrated solutions." In addition, Gino ensures that ICLEI takes every opportunity to decisively influence global negotiation processes and increase cities’ presence on the global stage in order to promote the sustainability agenda at all levels. Before joining ICLEI, Gino worked in Russia for seven years as an advisor and as Team Leader at the EU-funded Environmental Centres for Administration and Technology in Kaliningrad and St. Petersburg. Prior to that, he worked in Brussels for five years at the European Commission, DG Environment. Mark Watts serves as the Executive Director for C40 Cities Climate Leadership Group. 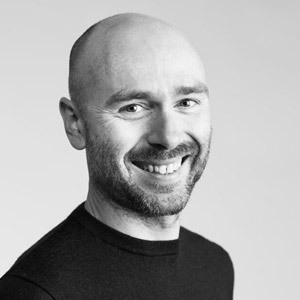 Prior to joining C40, Mark was the Director of Arup’s energy consulting team based in London. Focused on cities and sustainability, he lead Arup’s partnership with the C40 group of cities committed to tackling climate change. He led the development of London's ground-breaking Climate Change Action Plan and the associated programme of projects to reduce London’s carbon emissions by 60% by 2025. Mark was recently named by the International Council for Science (ICSU) as one of the “20 people we want to hear more from in the climate change debate”, alongside the Chinese Premier Li Keqiang, economist Amartya Sen, and former Archbishop Desmond Tutu.